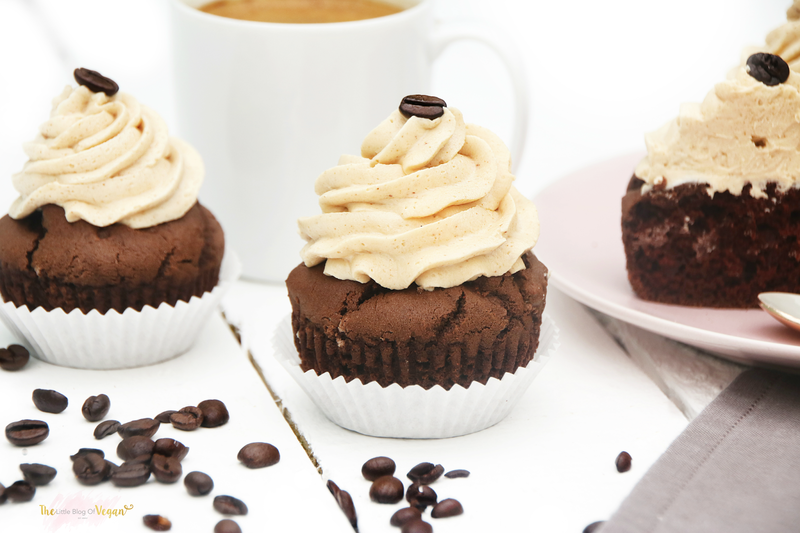 Light and fluffy Coffee & Chocolate cupcakes with an utterly delicious thick & moorish Espresso frosting topped off with a coffee bean. It's coming up-to my sisters birthday, and i decided to make some of her (and my) favourite flavoured cupcakes! 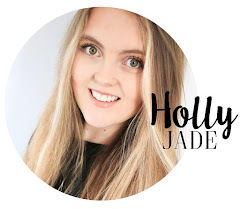 As you know, coffee is one of my favourite flavours! 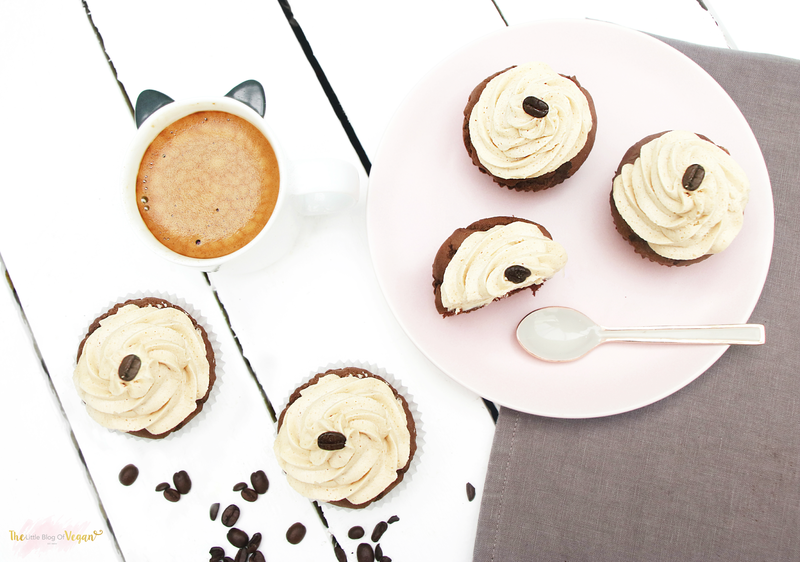 I have made coffee flavoured ice-cream & raw cheesecakes in the past but i have never made coffee flavoured cupcakes....until now! 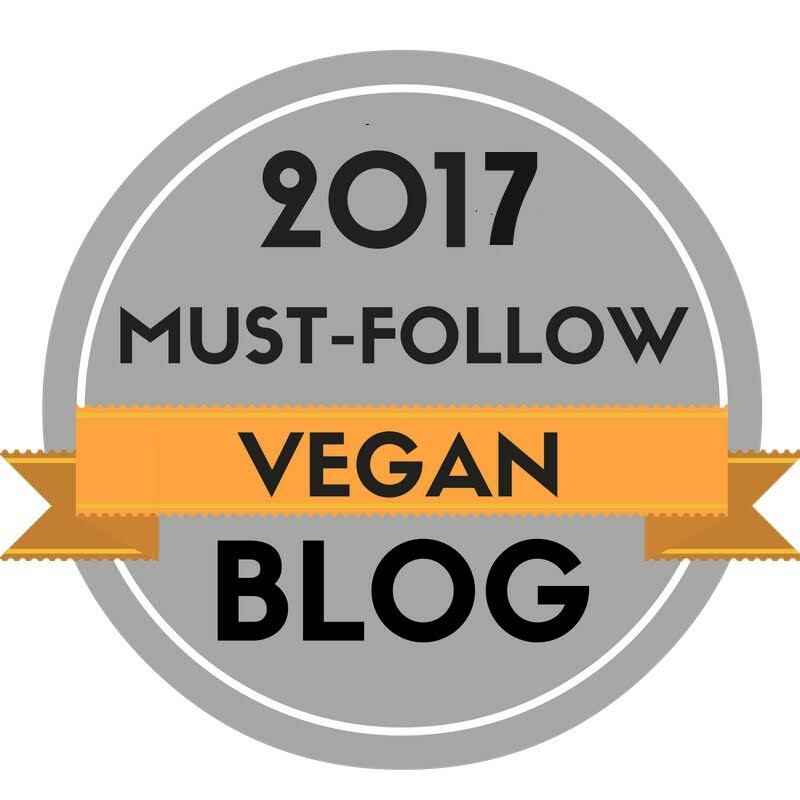 These cupcakes are vegan, wheat & gluten-free and use Vegan Egg as the egg replacer! 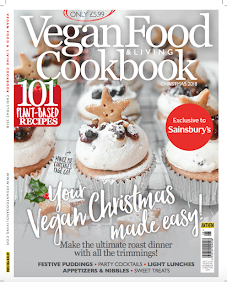 I have been enjoying using 'Vegan Egg' as its one of the more effective egg replacers i have used in my baking! This cupcake recipe is very easy to make and the cakes turn out moist, fluffy and packed full of divine flavour! 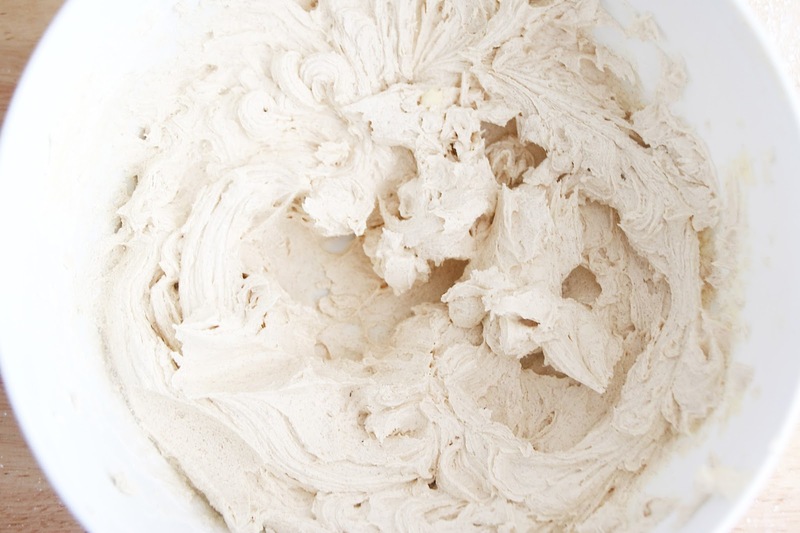 Vegan/dairy-free frosting can be difficult to get thick enough to pipe and for it to keep its shape, but this recipe is perfect and the cake & frosting complement each other really well! If you like coffee, you are going to love these! The cupcakes still contain sugar & butter, but enjoying sweet treats like this in moderation is fine! I kept the sugars low in the cake as the frosting contains icing sugar which is sweet enough. 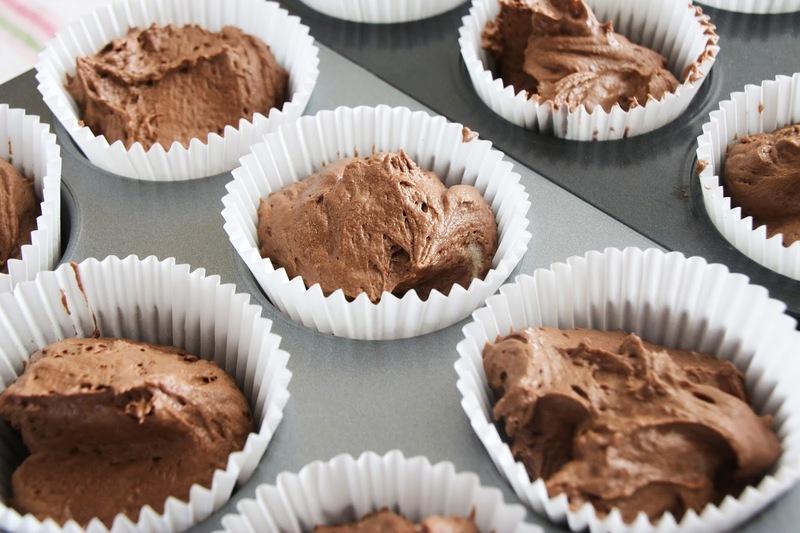 Pre-heat your oven to 175 degrees and line a cupcake tin with cases. 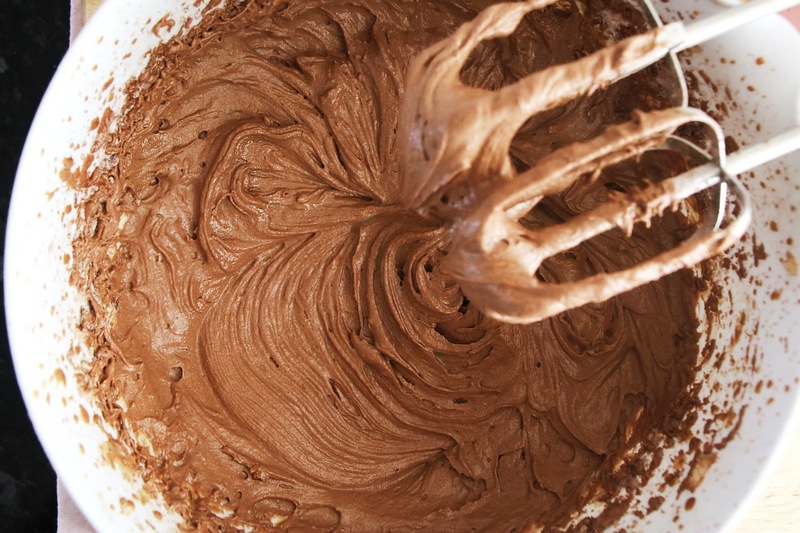 Step 1- In a mixing bowl, combine the flour, cocoa powder, baking powder, baking soda and salt. 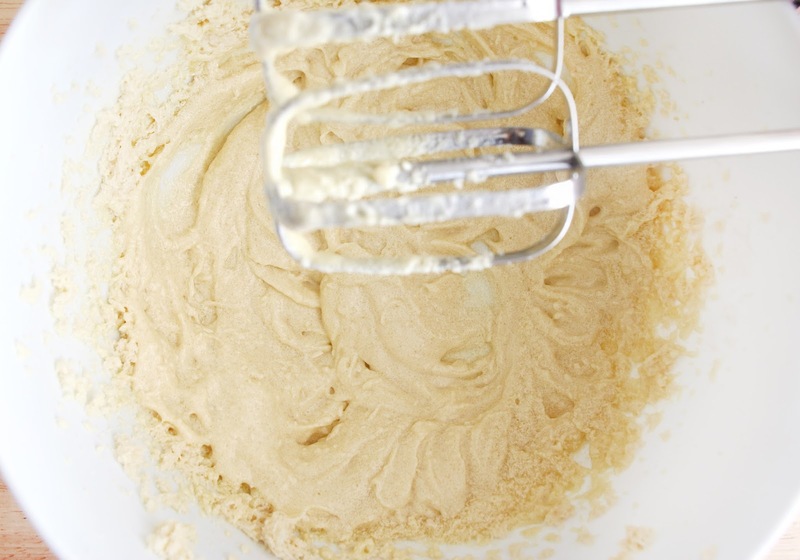 Step 2- In a separate mixing bowl, using an electric mixer, whiz up the butter and sugar until creamy & fluffy. Add in your chosen egg replacer and whiz up until combined. Step 3- Brew 1 espresso and pour it into a bowl. 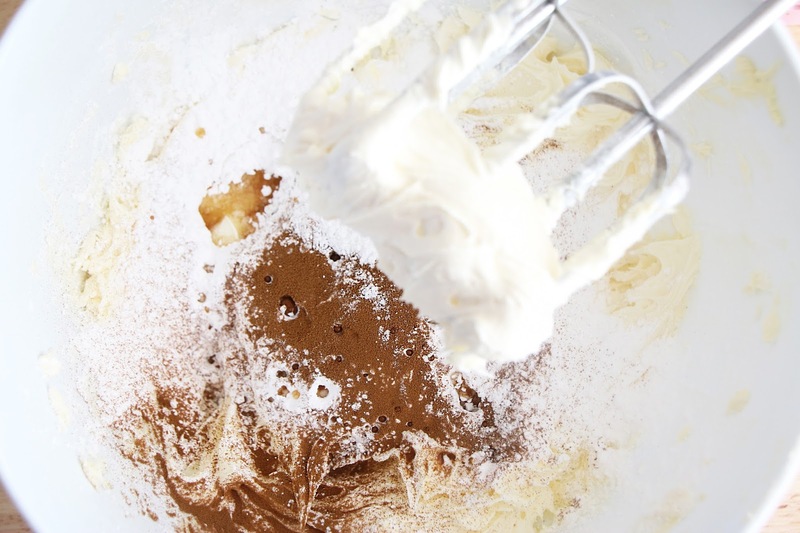 Add in the espresso powder, soya milk and vanilla extract, stir until the powder dissolves. 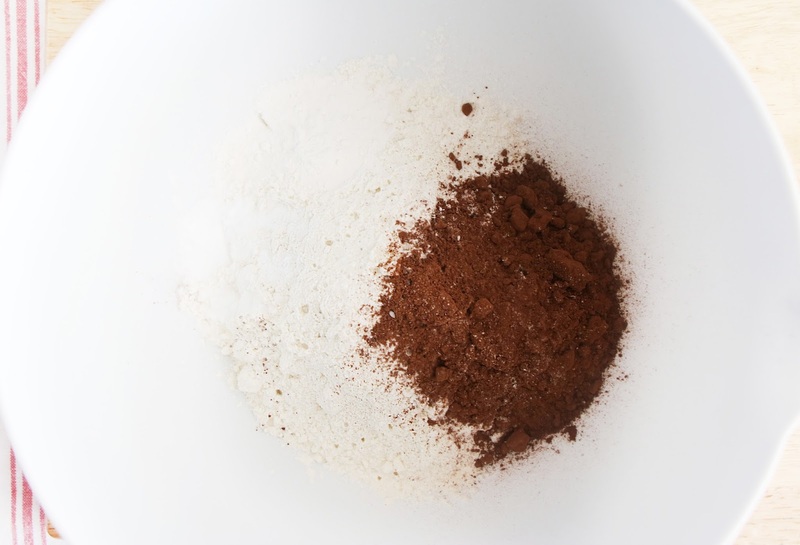 Step 4- Reduce the speed and carefully add in the dry flour mixture and wet coffee mixture, alternating. Step 5- Once all of the ingredients are in the mixing bowl, give it a final whiz until smooth. Step 6- Fill each cupcake case with the delicious chocolaty mixture, about 3/4 full with mixture. Pop the tray into the oven and bake for 18-20 minutes. You will know they are done when you put a knife or skewer in and it comes out clean. Step 7- Remove the cupcakes from the tray and place onto a cooling rack. Whilst the cakes cool, prepare the frosting! Step 1- In a large mixing bowl, whiz up the butter until creamy! Step 2- Add in the icing sugar a little at a time, along with the espresso powder and vanilla extract. Whiz until thick & fluffy! Step 3- Transfer the frosting into an icing bag fitted with a star tip nozzle. 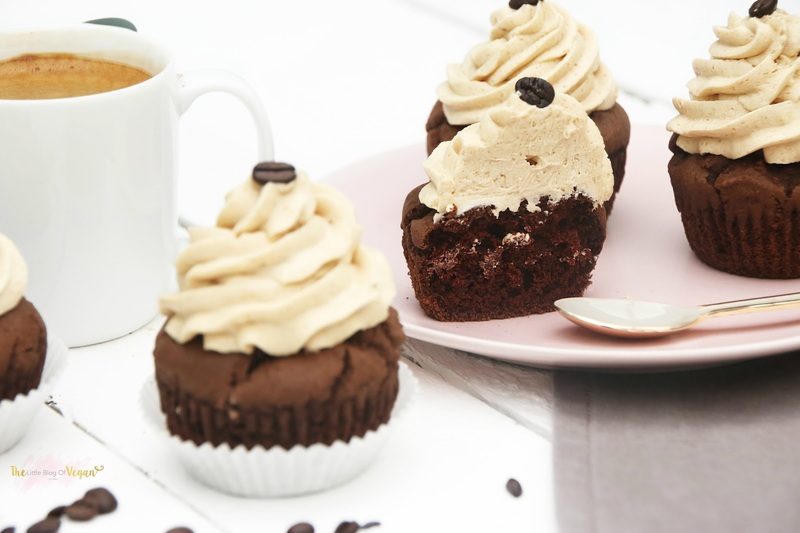 These cupcakes don't only look good, but taste amazing! Perfect if you like coffee!!! 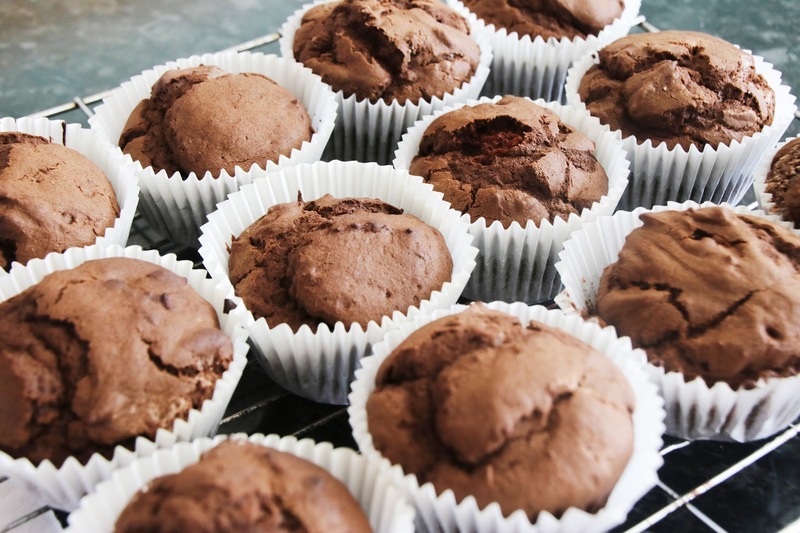 Keep the cakes stored in the fridge and allow to stand at room temperature for a few minutes before serving! You can also freeze them for enjoying at a later date! More social media links are in the side bar! could this recipe still work with regular all purpose flour ?